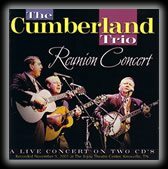 From The Cumberland Trio’s great Sept 24, 2004 landmark reunion concert DVD, their special friend and guest artist, the incredible singer/ songwriter Taylor Pie, performs brilliantly one of her signature songs, Time. This great song was a # 1 hit on the Billboard Pop Charts in 1968, when Pie was the lead singer and star of the famed Pozo Seco Singers of the late 1960s, who had several songs high on the Billboard charts. With Pie singing, writing and performing better than ever, this version of this wondrous song features Pie’s intro about how Time became # 1. This video is something to behold, as The Cumberland Trio sings the beautiful background harmonies performing as Pie’s “Pielettes!” Taylor Pie’s great websites are www.libertyarts.org, click on Taylor Pie on the toolbar & www.taylorpie.com. All three of her CDs, including her brand new release, So Little Has Changed, can be found at www.cdbaby.com, type Taylor Pie in the search engine. 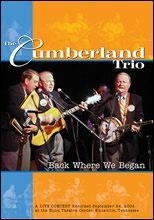 The Cumberland Trio’s great website is located at www.cumberlandtrio.com & all their studio & live concert CDs & live concert DVDs can also be found at www.cdbaby.com type cumberland trio in the search box.